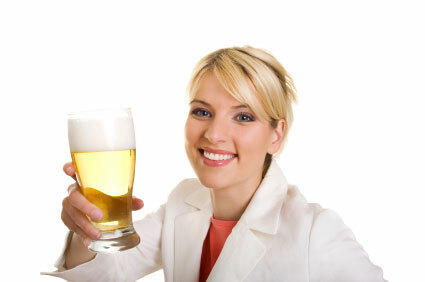 A file photo shows a woman holds a bottle of beer. Mild beer, last in fashion when the Beatles were still at school, is making a comeback in Britain, according to a real ale lobby group. Mild beer, last in fashion when the Beatles were still at school, is making a comeback in Britain, according to a real ale lobby group. Responding to a growing number of requests from beer buffs, breweries are beginning to produce more Mild and pubs are finding demand for the dark, malty ale is rising. In a survey of 500 real ale drinkers across the UK, the group found that 64 percent of them had seen an increase in the number of Mild beers served at pubs and beer festivals over the past 5 years. Similarly, 75 percent had noted the availability of Mild beers in pubs and brewery shops within a 30 mile radius of their homes. "There& #39;s a real opportunity for the Mild to return to its former glory, when in the 1950& #39;s it was the nation& #39;s most popular beer style," said Duncan Woodhead of CAMRA, the Campaign for Real Ale, which organised the survey. The origins of Mild go back centuries and it was not until the 1960s that it was overtaken in popularity by bitter and lager, both of which usually contain more alcohol. In the CAMRA survey, issued in advance of its National Mild in May campaign, drinkers were asked to name their best loved Milds. Top was "Ruby Mild" from the Rudgate brewery in York, north Yorkshire -- CAMRA& #39;s current Champion Beer of Britain. Second was "Dark Ruby" from the Sarah Hughes brewery of Dudley in the West Midlands and third was "Maggs& #39; Magnificent Mild" by the West Berkshire brewery in the town of Yattendon.